Lori was born and raised in Covina, CA and has been a registered dental assistant and front office receptionist for 35 years. She enjoys working primarily in the front office but also fills in when needed in the back office of our practice. Lori is our all round utility staff member. In her free time, she enjoys reading, hiking and spending time in her garden. Lori has four children and proud of each and every one. Lori loves being married to her wonderful husband Jesse. 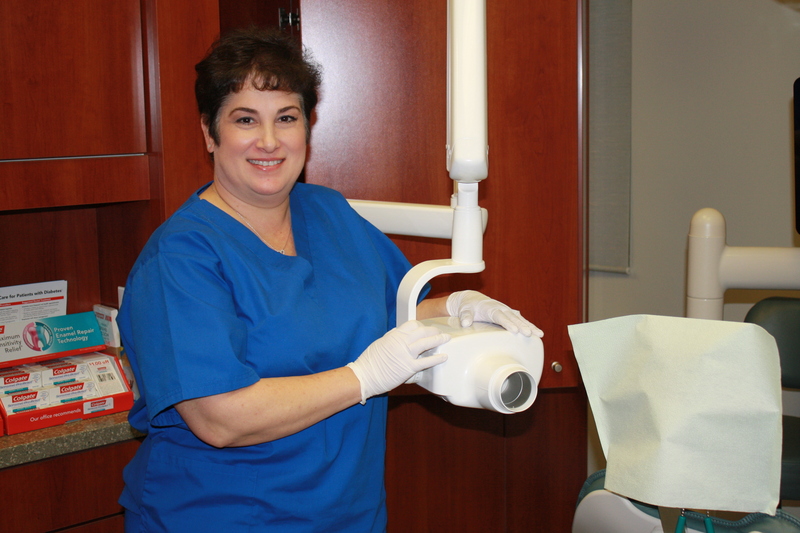 Ebby has been working in dentistry for over 20 years, mainly as a front office receptionist. In her spare time, Ebby enjoys reading, watching classic movies, and playing softball. She is also a huge Elvis Presley fan. Additionally, Ebby enjoys spending time at the beach with her wife and their daughter Abigail. Tish was raised in El Monte, CA and graduated from El Monte High School. 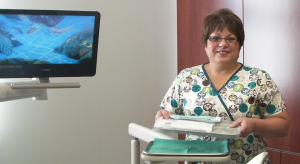 She then attended Rio Hondo College graduating from the dental assisting program and has been working as a dental assistant for the past 40 years. In that time she has loved working with patients of all ages and helping them to relax in the dental chair. Wish is very knowledgeable in all phases of dentistry and is a fantastic dental assistant. She loves the beach and planning family barbecues. Each summer she travels to Hawaii with her husband Dennis and their family. Wish has been married for 38 wonderful years and she and Dennis have two adult children, Dennis Ross and Katie Marie and two amazing grand children Annabella and Luci Marie. Jazmine is from Glendora. 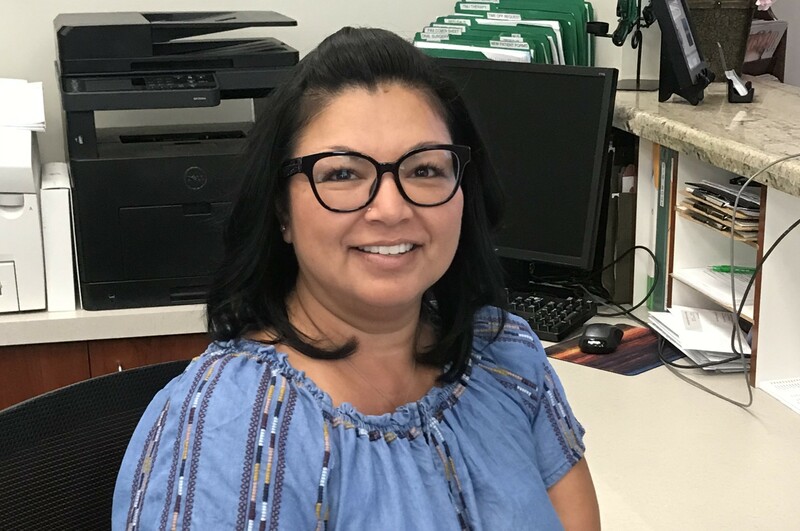 She joined our team after completing the dental assisting program at Citrus College You can find her in the back office assisting Dr. Hoyt, taking x-rays, sterilizing instruments, or custom staining crowns. 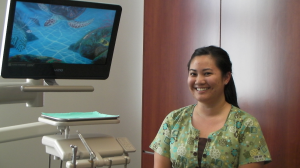 Jazmine has trained extensively in the CEREC same day system imaging, creating, processing, and customizing crowns. When she is not in the office, Jazmine enjoys spending time with family and friends, going on adventures with her boyfriend, and hiking with her two pups. Linda Excited to come to work each morning and energized by the wonderful patients she meets each day, she feels blessed to be passionate and fulfilled by her position as a Dental Hygienist for the past 34 years. She is honored to continue to provide care, forge new friendships and share knowledge with those she comes in contact with. Her children have grown up, graduated from college and are pursuing their dreams. This has afforded her to pursue additional interests. Linda and her husband Mike are planning to travel, continue to learn and explore. 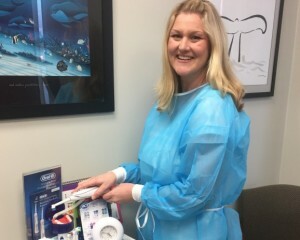 Expanding on her expertise as a Dental Hygienist, Linda is continuing her education in the field of Oral Myofunctional Therapy in order to provide specific facial exercises that strengthen facial muscles, eliminating oral habits, improve breathing and facilitate the maintenance of orthodontic alignment. For fun, Linda is hoping to provide pet therapy services with her Shih Tzu puppy “Vinny”. 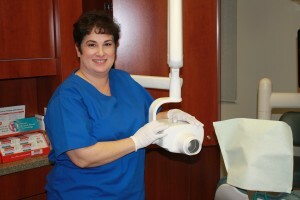 Kari has worked in the dental field for 15 years and enjoys every minute of it. 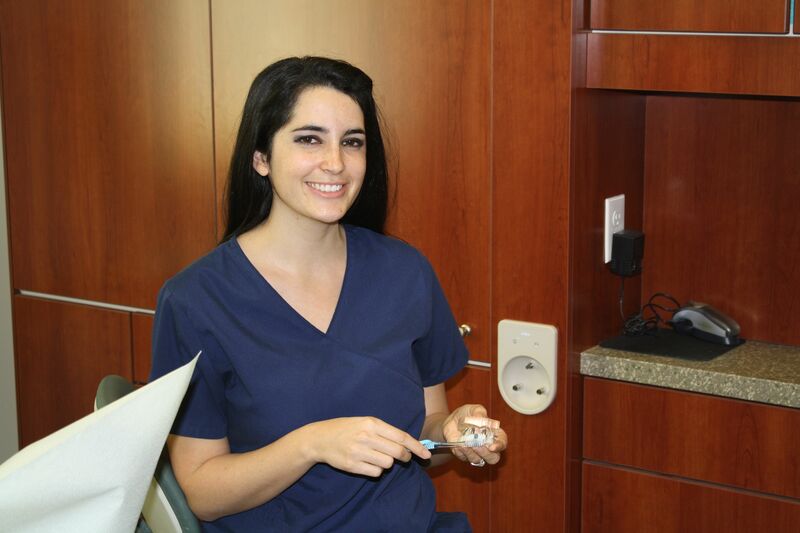 She graduated from Cerritos College and loves working as a dental hygienist. Kari is also an accomplished orthodontic assistant. Working with patients and educating them about their teeth and gums are the most rewording aspects of her job. She enjoys spending time with her husband and their two young boys. Kari looks forward to seeing you in Dr. Hoyt’s beautiful office one day. Cindy found her love of dentistry 10 years ago. She received her RDA in 2008 and went on to receive her RDH in 2011. 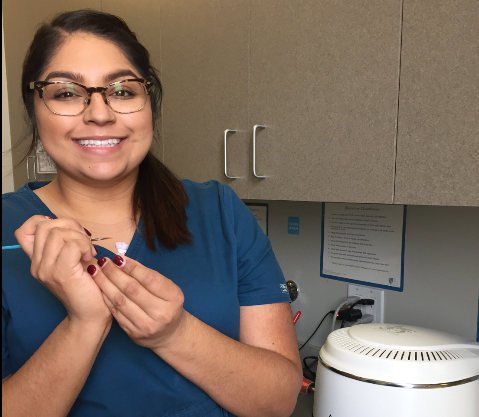 Before she found her career pathway as a dental hygienist, she started serving the community as a junior volunteer at Methodist Hospital of Arcadia while in high school. She continued on to work as an ECG tech during college and continued to volunteer by training volunteers on how to connect with patients. Her combined love of helping others and dentistry lead her to serve as class vice president during her senior year in hygiene school and upon graduation, received the class leadership award. Besides her love of dental hygiene, she loves her family, jogging and traveling. Kristin graduated from San Joaquin Valley College and has been a Registered Dental Hygienist for 6 years. She was voted Miss Congeniality in Dental Hygiene school by her peers. She has two young daughters and has been married for 5 years. Kristin’s focus is to continue to educate and provide current information so that her patients can improve their oral health, thus contributing to the well0being of their general health. To ensure Kristen’s patients receive the highest level of care, she continually attends many educational courses to stay informed on the most current advances in the field of dentistry. In her spare time, she enjoys cooking, shopping and going to the beach. Joell is a proud alumnus of San Joaquin Valley College. Her vision of improving the lives or others by caring for their oral health has been the passion of her adult life. She believes educating her patients in the proper care of their teeth leads to happy people with a better quality of life. Her warm and friendly manner compliments her professionalism and establishes a comfortable and relaxed feeling for whoever she is caring for. She feels her greatest reward of practicing as a Registered Dental Hygienist is being a role model for her two youngest girls who see their mommy as a women who empowered herself with an education and a career. She is married to her husband of 10 years who she falls in love with every day. Hoyt Family Dentistry’s staff and patients are her second family and she looks forward to serving them with the highest quality dental care, at every visit.